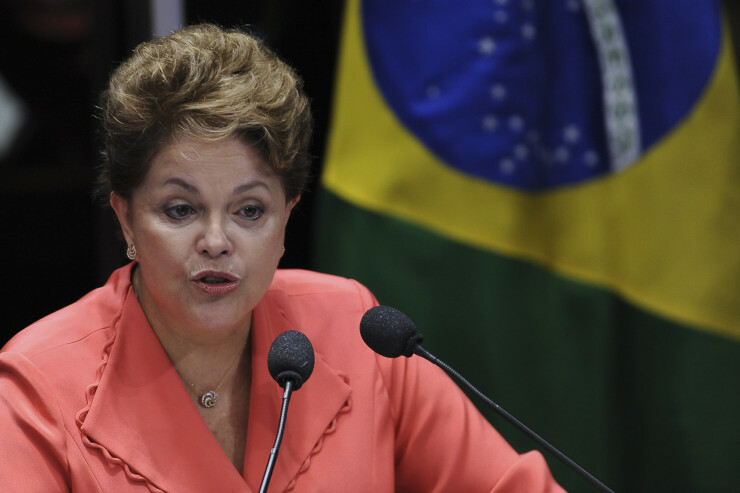 President Dilma Rousseff is once again under investigation by the Federal Court of Accounts (TCU), this time for her allegations relating to her time as president of the Petrobras board,from 2005 to 2010. The Federal Court of Accounts (TCU) approved the investigation, in which managers and directors at the company will have to explain the R$2.8 billion (US $737 million) losses that appear in the company’s financial statements as a result of the cancellation of the refineries Premium I and II, in Ceará and Maranhão. On December 2nd Eduardo Cunha, Speaker of Congress’s lower house, initiated impeachment proceedings against the president, Dilma Rousseff. “I take no pleasure in this act,” Mr Cunha told a press conference, stressing that his decision was of a purely “technical nature”. Its consequences will be anything but. Brazil’s top electoral authority is aslo investigating President Dilma Rousseff for receiving illicit campaign financing from the state-owned oil company, which could implicate the embattled leader in the massive Petrobras corruption scandal she has so far managed to avoid. On October 6, Brazil’s Supreme Electoral Tribunal (TSE) re-opened an investigation into Rousseff and Vice President Michel Temer on suspicion of illegal campaign financing, reported Globo. In a 5-2 vote, the TSE ruled there was sufficient evidence to investigate if Rousseff and Temer abused their power in the run-up to the October 2014 presidential election, and whether misappropriated money from state-owned oil company Petrobras was used to fund their campaign. This is the first time the TSE has opened such an inquiry into a sitting president. In February the TSE declined to investigate Rousseff due to lack of evidence. However, TSE ministers stated that advancements in the ongoing Petrobras scandal have given rise to new evidence, compelling them to re-consider the case. According to Reuters, if the investigation uncovers evidence of wrongdoing, Rousseff’s election victory may be invalidated. The TSE’s ruling could tie Rousseff directly to the Petrobras scandal, a multi-billion dollar corruption scheme that allegedly involved executives from the state-owned oil company issuing overpriced contracts in exchange for kickbacks. Until now, the president has managed to avoid being implicated in the ever-widening Petrobras scandal. Known as “Operation Car Wash,” the investigations have already ensnared a number of Brazil’s political and economic elites, including Jose Dirceu, a founding member of Rousseff’s Workers’ Party and a former Chief of Staff to ex-President Luiz Inacio Lula da Silva. Rousseff was also the chairwoman of Petrobras during the time when investigators say much of the corruption took place. Nonetheless, it remains to be seen if the TSE’s investigation will lead to an impeachment process against Rousseff, or even her resignation. As BBC Brasil points out, any investigation into illicit campaign funding — including whether or not Rousseff accepted illicit donation money from Petrobras — must conclusively prove the abuses influenced the outcome of the election. Additionally, the investigation is expected to take months if not years, and any decision is subject to appeal by Brazil’s Supreme Court.